Edson Coimbra always knew he wanted to open a restaurant in Chelsea, but his partner Marvin Posada needed some convincing. The pair behind Ciao! Pizza & Pasta met in 2008 while working at L’Andana in Burlington. When Coimbra rejoined the culinary world after a brief foray into banking, Posada was eager to start something up with old colleague, but didn’t know where to get started. Posada initially said “no way,” but later changed his mind, thanks to Coimbra and his neighbors. A Chelsea resident since 2002, Coimbra didn’t see a reason to open up shop anywhere else. A former Chinese restaurant around the corner from Coimbra’s house had been vacant for two years. The property was small – only about 500 square feet – but it had potential. 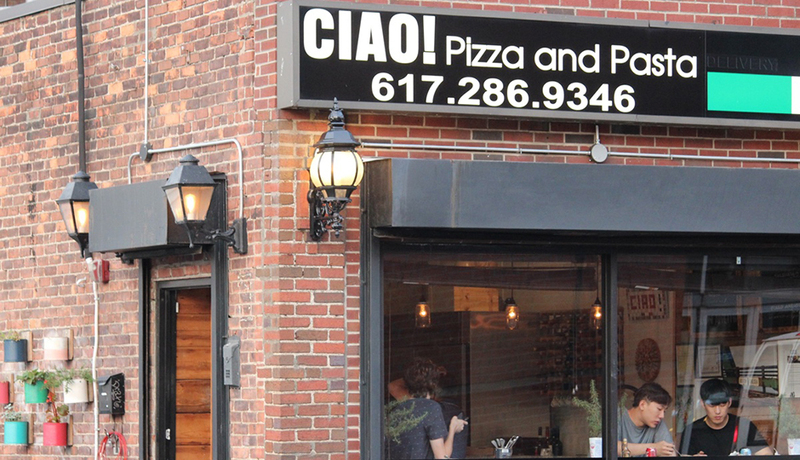 Posada and Coimbra signed the lease and opened Ciao! Pizza & Pasta in the fall of 2015. “Magically, every single thing fell into place,” says Posada. Soon after the restaurant’s opening, the partners got to work on their next venture: the Ciao! Market. Part Posada’s idea to open a pasta factory and part Coimbra’s dream to run a coffee shop, the market became a hybrid of the two concepts. The next project in the pipeline is the Winnisimmet Lounge, an Italian small plates plan of Posada’s, due to open in late summer or early fall of 2018. Dan Cortez, a community engagement specialist for the Chelsea Police Department, is one of Ciao’s loyal regulars and looks forward to the duo’s trifecta of eateries. 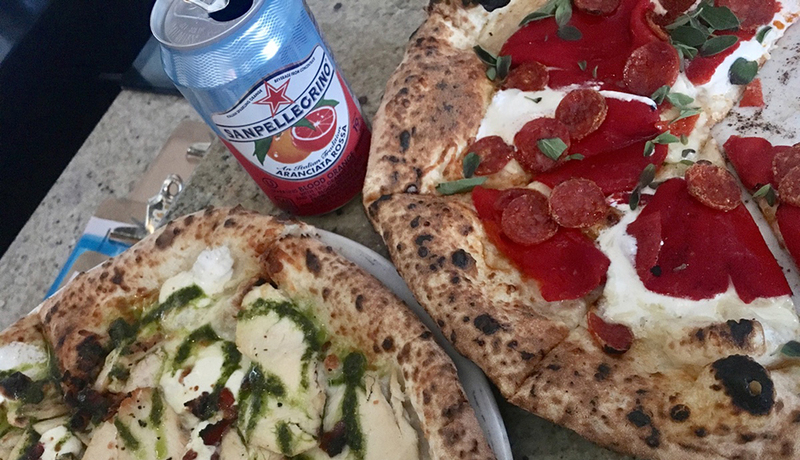 Coimbra says their classic margherita pizza is the biggest hit on the menu, while the gnocchetti with short rib is a fall and winter pasta dish that is popular all year long. But food, surprisingly, isn’t the main priority at Ciao! It was the first restaurant in Chelsea to incorporate outdoor seating to increase foot traffic in the area. Ciao! also doesn’t have any TV’s to encourage conversations among patrons. Cortez works with the Downtown Task Force to combat problems in Chelsea Square, providing citizens with helpful resources and basic needs. Cortez says the Ciao! team has been influential in leading the effort to improve the community from the business side. Coimbra and Posada organized an effort to clean Chelsea Square last month. A dozen people joined them in planting flowers and picking up trash. Chelsea City Manager Tom Ambrosino agrees. While Coimbra and Posada have worked together to help the community, the community has returned the favor. When the duo had hearings at City Hall regarding license approvals for future projects, more than 50 residents attended to voice their support. For Posada, getting face time with his customers and developing a close relationship is the greatest part of his job. Coimbra says he talks to his customers about everything – their families, their problems, their ideas for improving Chelsea. The only topic that doesn’t come up? Careers. For more information on Ciao! Pizza & Pasta, visit ciaopizzandpasta.com. For news about the restaurant, Ciao! 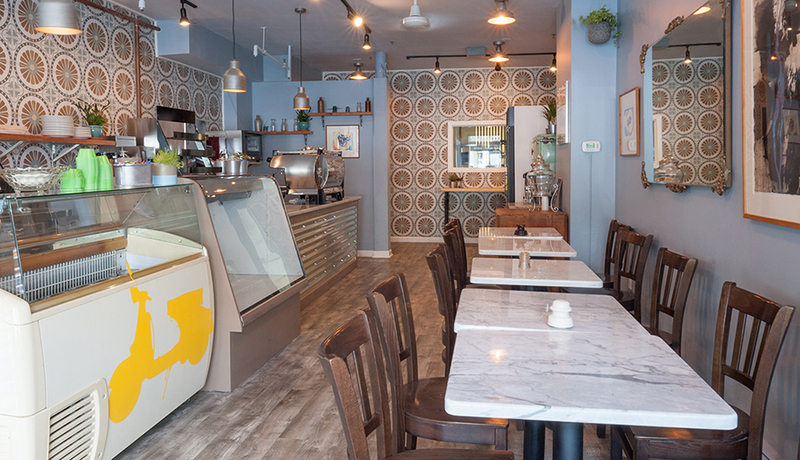 Market, and upcoming Winnisimmet Lounge, follow their Facebook page @Ciaopizzaandpasta.